If indicted, the four-term prime minister would be facing one of the greatest challenges to his political survival. Despite his dominance of Israeli politics, the newest police recommendation comes just after his right-wing coalition’s majority was reduced to a precarious one seat in parliament. 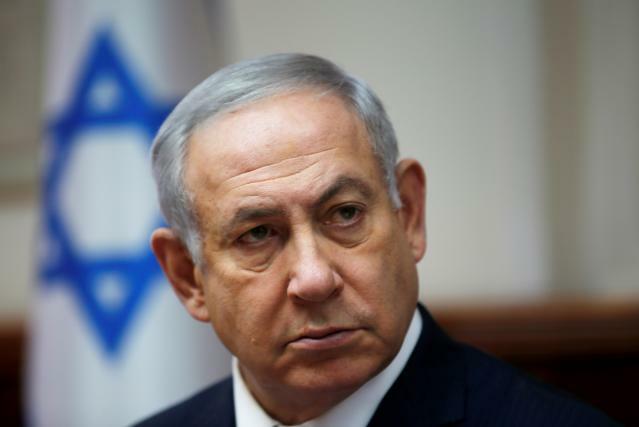 Some analysts have said Netanyahu could call a snap vote in light of the legal proceedings against him. The next national election is not due until November 2019. But Netanyahu may want to seek a renewed mandate from the people, forcing a prosecutor to think twice before indicting him. At the time Elovitch was chairman and controlling shareholder of Bezeq. The authorities said there was also evidence to charge the company’s then-CEO Stella Handler with fraud. “I am sure that also in this case the relevant authorities, after examining the matter, will reach the same conclusion - that there was nothing because there is nothing,” he said.